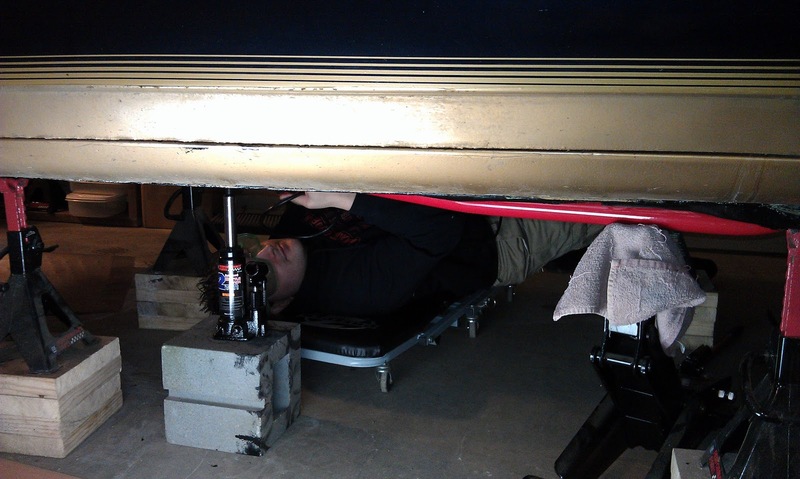 Today Sara and I installed the Alston subframe connectors we purchased for KITT. We started with the driver side. Once in position we used jacks to hold it firmly in place. Using the holes in the bracket as a template, I drilled through the frame. I started with the front bracket and secured each hole with a bolt. Once the front was bolted up I moved to the back. 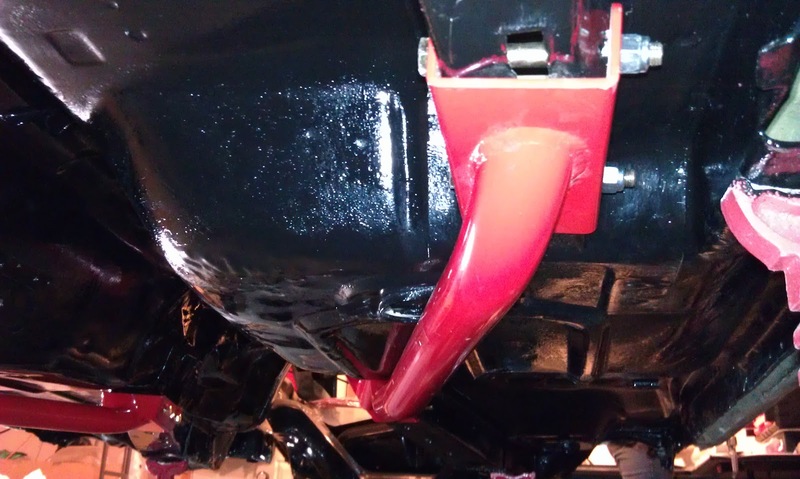 Driver side subframe connector is installed. 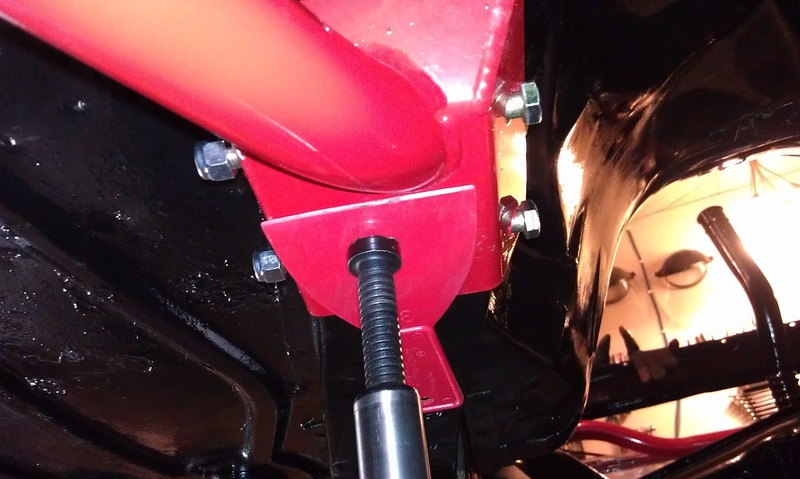 The passenger side subframe connector does not fit the shape of the front subframe as nicely as the driver side. 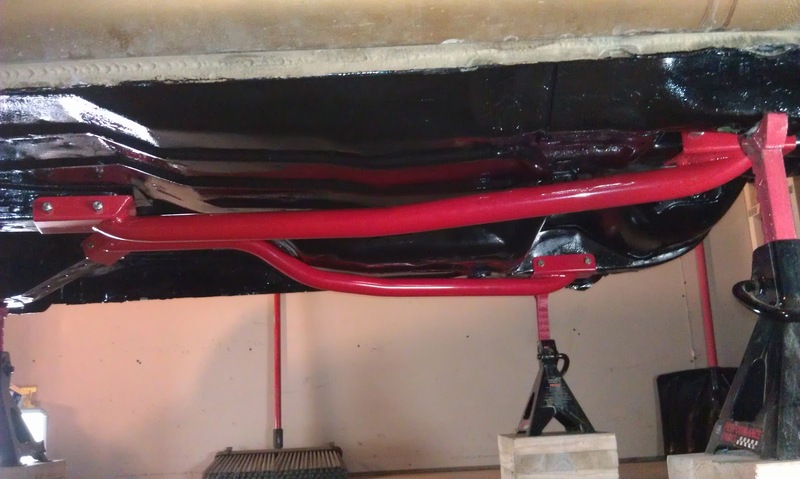 In talking with support from Alston I learned the '82-'83 model years used a different shaped front subframe on the passenger side. Instead of being a box shape with 90 degree corners like the bracket, they are more like 100 degree corners. 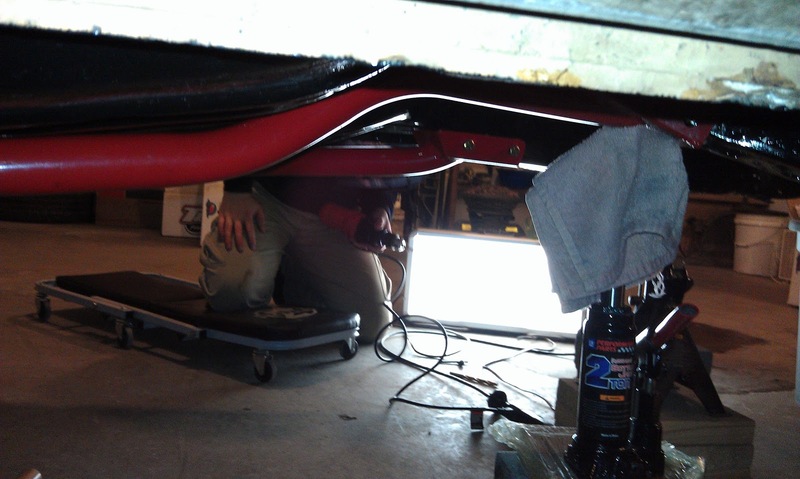 My solution was to bend the subframe in the spots where the bracket was binding. 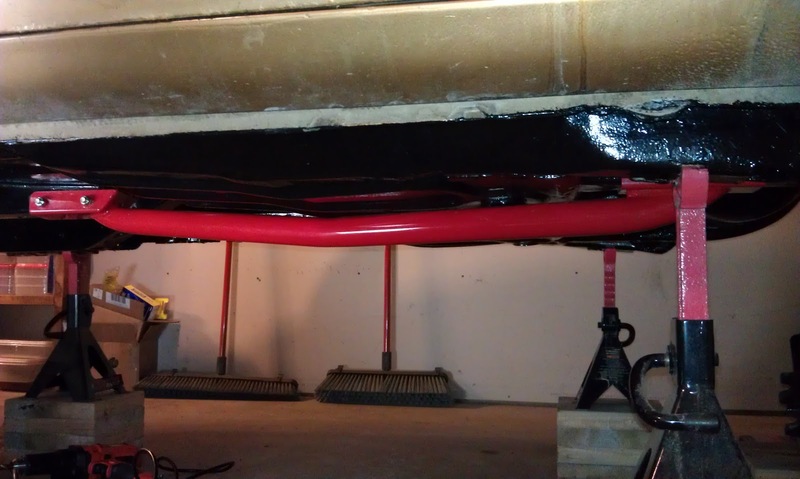 I used a ball pein hammer to reshape the subframe. Here I am testing the fit to see if any further modifications are needed. 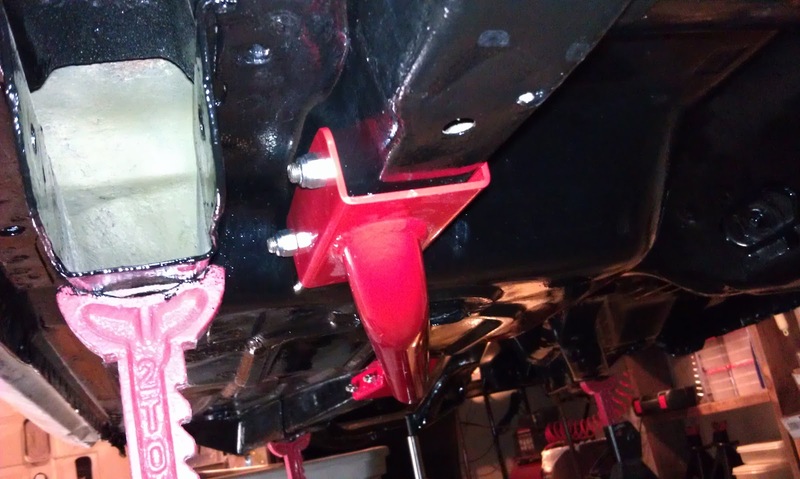 The passenger side subframe connector is in place and held firmly by jacks. 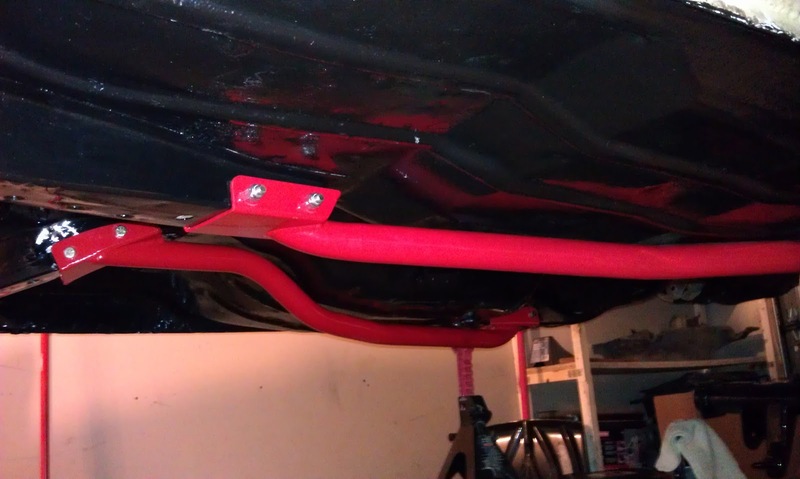 Passenger side subframe connector is installed. 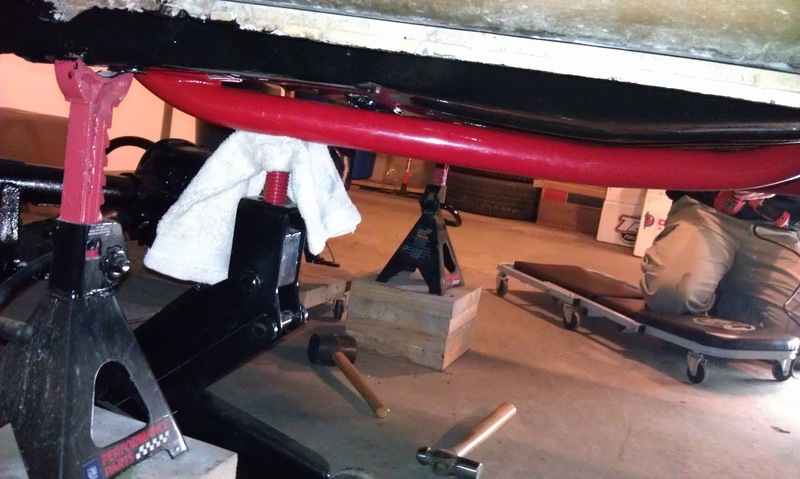 Pictures of both subframe connectors installed. I am going to have these welded as well for additional strength. 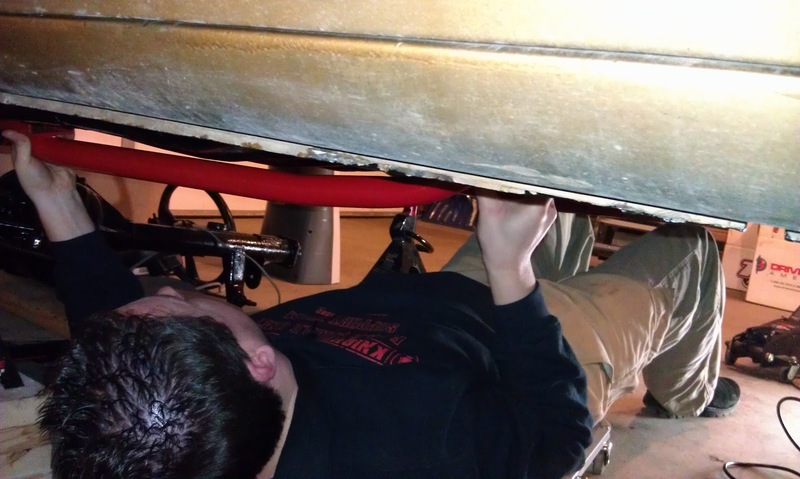 When I was researching subframe connectors, it was hard to visualize exactly how they mounted and fit the car. 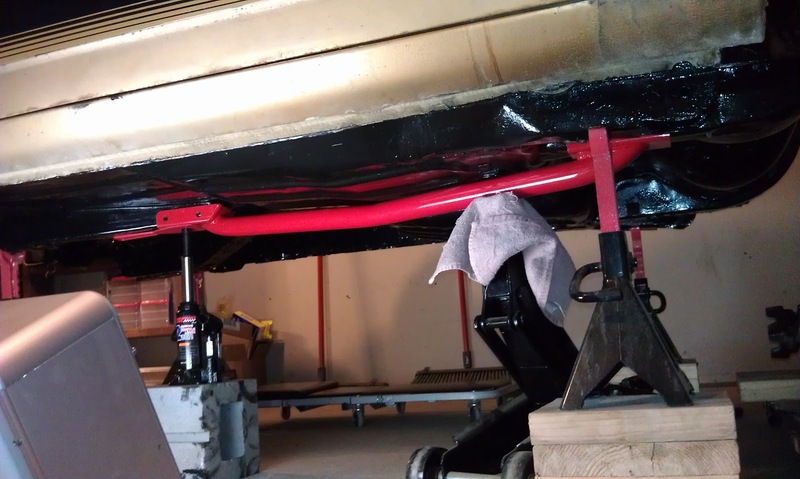 I could not find a video, so I decided when I finished installing my subframe connectors I would take one. Here is my video. 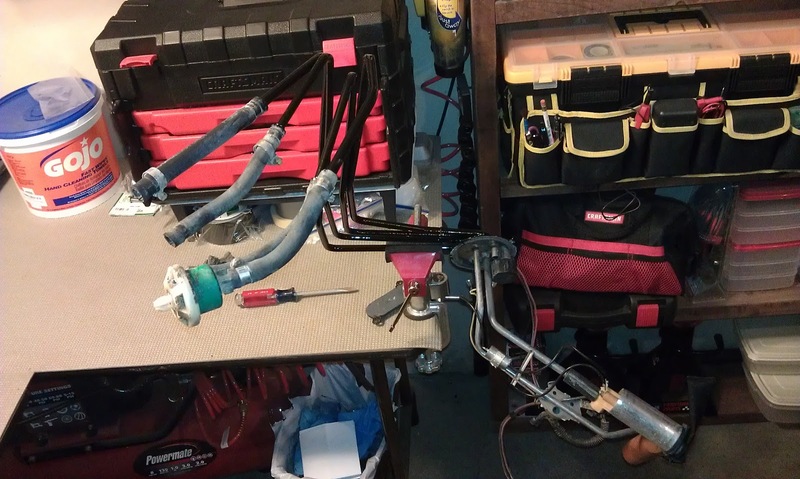 After cleaning the garage tonight I worked on the fuel sending unit some more. I started by clamping the fuel sending unit into my bench vise. 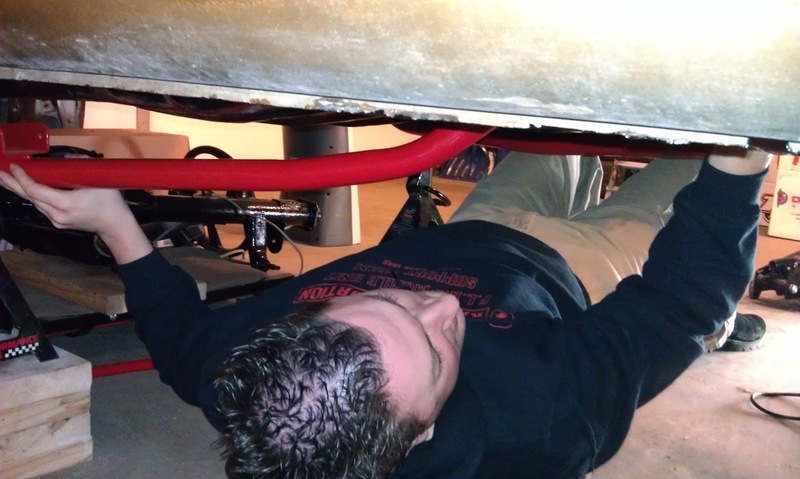 I removed the hoses from the ends so I could inspect the lines for rust. There was very little rusting. 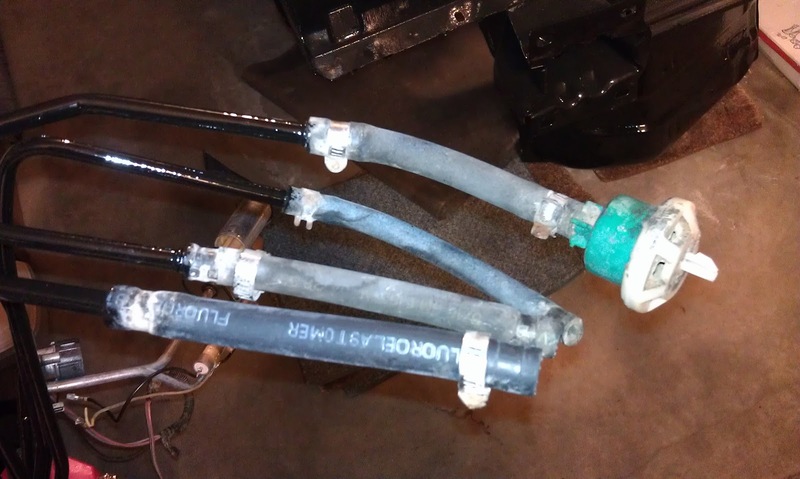 The rust that was present was basically just where the hoses ended on the fuel lines. 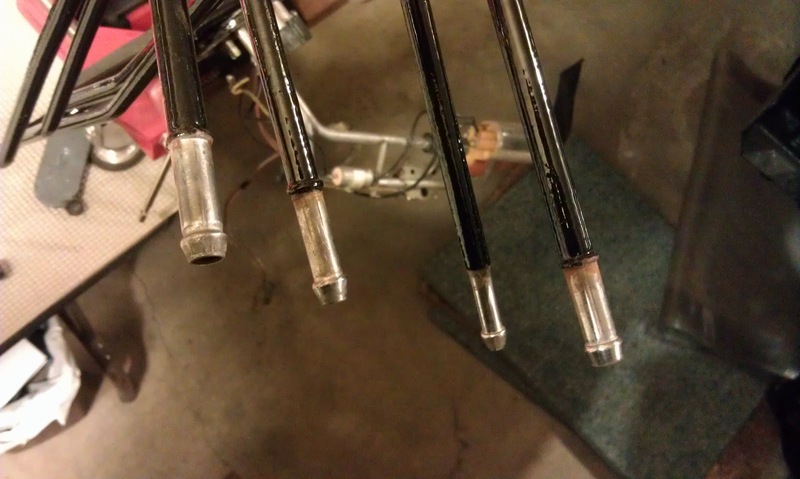 I inspected the inside of the fuel lines and they are clean as far as I can see. I used a little bit of steel wool to clean the ends up. 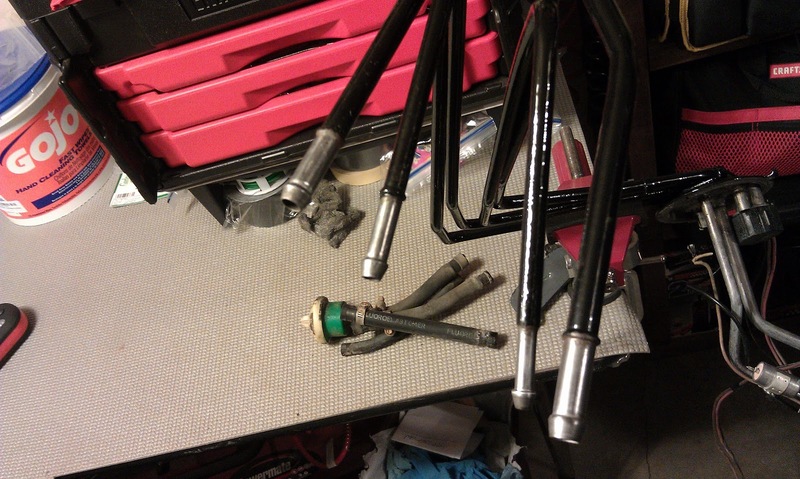 I do not plan to paint these ends with POR-15 because they will be covered by the new hoses.